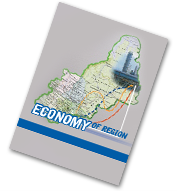 Current issue - Main - Journal "Economy of region"
Rural entrepreneurship is considered one of the key drivingforces for the development of rural and regional socio-economic systems. I propose to analyse the development of rural entrepreneurship in Russia within the framework of the entrepreneurial ecosystem theory. The article presents the results of studying economic and institutional factors constraining entrepreneurial activity in rural areas. The research, based on a survey of rural entrepreneurs in the Ural region, aimed to identify factors that have the greatest negative impact on the development of rural entrepreneurship. The survey questionnaire was compiled using the Likert scale. The survey was conducted over 10 years; each year a simple random sample of 30 respondents was chosen. Then the data was processed with the help of special software “Strata 11”. The obtained results have demonstrated that the main factors hampering the development of rural entrepreneurship were the lack of qualified workers able to perform innovative types of work (value 4.6), high cost (value 4.6) and high risk of innovative activity (value 4). The most interesting is the dynamic of the “enterprise immunity to innovation” aspect. While in 2007 it was named as one of the main negative factors (value 4.5), in 2017 its value decreased significantly (to 3). I claim, a lot of entrepreneurs incorrectly percept a business development model that is adequate to entrepreneurial ecosystem’s conditions. That misunderstanding leads to efficiency reduction of both certain enterprises and rural entrepreneurial ecosystem in general. The study’s results have both scientific and practical importance for defining a model of rural entrepreneurship development and determining the most effective mechanisms of its support.